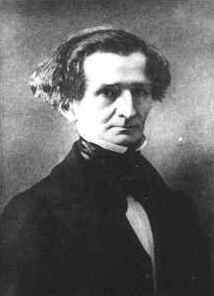 Unless otherwise stated all pictures on Berlioz Photos pages have been scanned from engravings, paintings, postcards and other publications in our own collection. All rights of reproduction reserved. 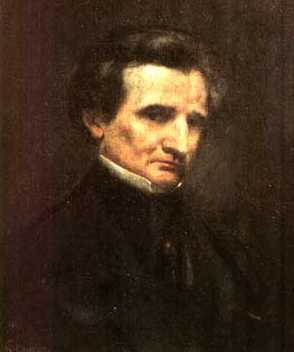 This portrait is in the Musée d’Orsay in Paris. 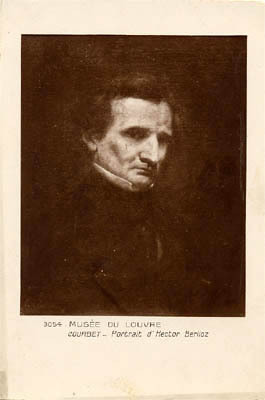 A reproduction of the 1850 portrait as appeared in Livre du Centenaire du Journal des Débats, published in 1889; a copy of which is in our own collection. The above painting, after Courbet, has been scanned from the frontispiece of a book entitled Berlioz, published by Pierre Lafitte & Cie in 1914 in “Les Grands Hommes Collection” series under the patronage of Jules Claretie of the Académie française. A copy of this book is in our own collection. At the time that the above postcard was published the original portrait was in the collections of the Louvre Museum (1921-1986); since 1986 it has been kept in the Musée d’Orsay. The above card was posted on 7 September 1904 in Montevideo, Uruguay. The above card was posted in France in 1907 to an address in Paris. This engraving is reproduced from a 19th century book in our collection. 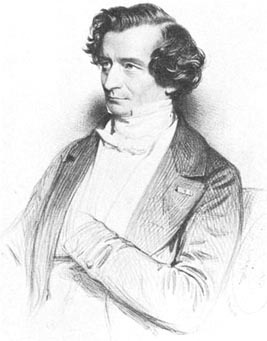 The portrait was drawn by Charles Baugniet during Berlioz’s second visit to London as a member of the international commission examining musical instruments at the Great Exhibition. 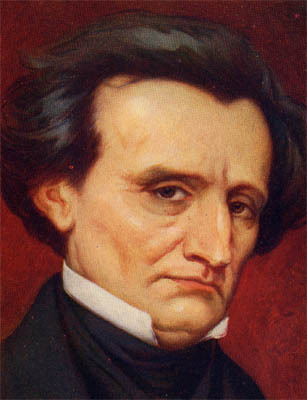 A copy of the lithograph is in the Musée Hector Berlioz. 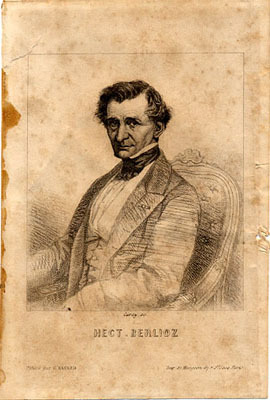 This copy of the 1851 lithograph carries a dedication by Berlioz to John Ella, the founder and director of the Musical Union in London and a close friend of Berlioz. 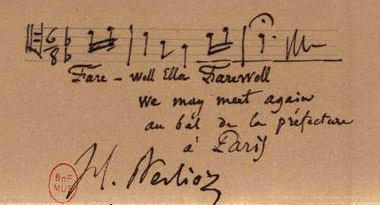 The musical notes are from one of Berlioz’s songs from the Neuf mélodies – Irlande collection, Adieu Bessy ; Berlioz has changed the original wording Adieu, Bessy to Fare – well Ella Farewell. 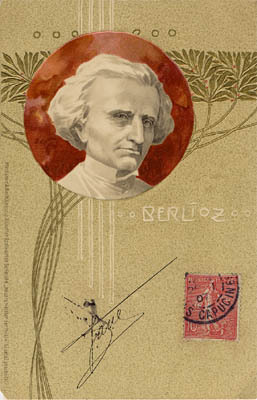 The first signature on the lithograph is a facsimile of Berlioz’s signature, but the dedication and the signature beneath it are in his own hand. The original copy of this lithograph is in the Bibliothèque Nationale de France, to whom we are most grateful. 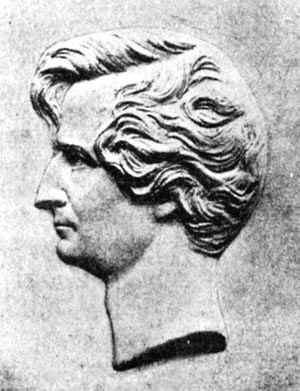 The original plaster is in the collection of Madame Reboul-Berlioz. 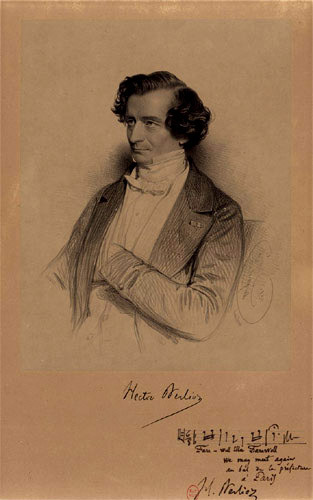 This picture is from a lithograph drawn by Charles Baugniet in 1853, during Berlioz’s fourth visit to London to stage his Benvenuto Cellini at the Opera in Covent Garden. 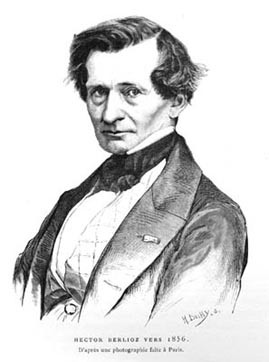 The lithograph is a group picture, showing Berlioz with a number of English and foreign musicians in London at the time. We are most grateful to Mike Joyce for sending us a photograph taken by him from an original copy of the engraving. 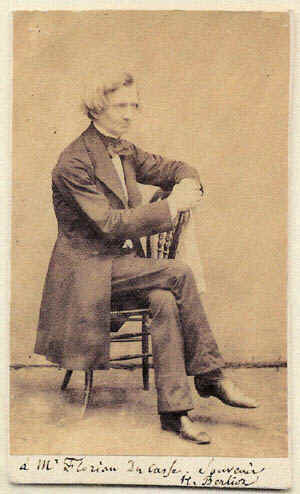 This photograph is said to be taken in Baden Baden in 1853. The original once belonged to the head of Schott’s in Brussels but today is lost. All surviving reproductions show a photographic copy that once belonged to Adolphe Boschot and is now in the Musée Hector Berlioz in La Côte Saint-André. The original copy of this photograph belongs to Mr Don Gibson who has kindly sent us a facsimile which we scanned for this page. We are most grateful to Mr Gibson. The above postcard was published in 1989. This originally black and white photo has been coloured using the chromolithography technique. 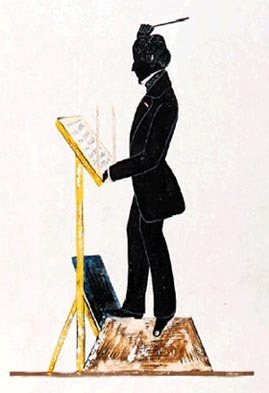 This silhouette is said to have been drawn at a rehearsal in the court theatre of Dresden on 28 April 1854. 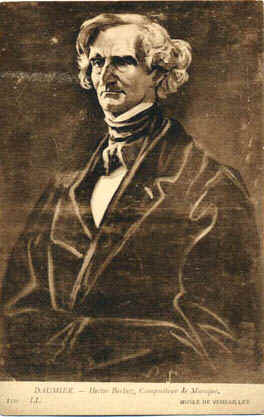 A copy of this drawing is in the Bibliothèque nationale de France, Paris. 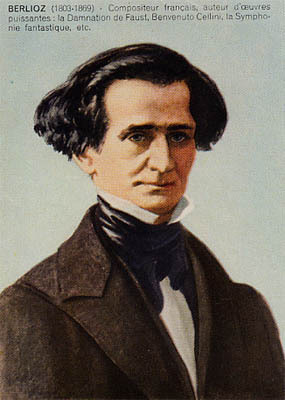 The portrait, reproduced on our postcard, was painted in February 1855 when Berlioz was on one of visits to Weimar. 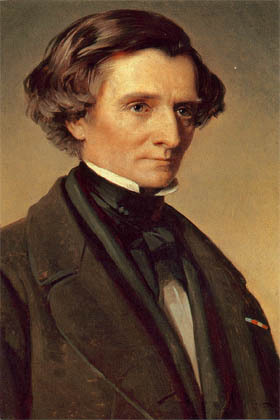 The original portrait is in the “Liszt-Haus” in Weimar; a reproduction is on display in the Musée Hector Berlioz in La Côte Saint-André. 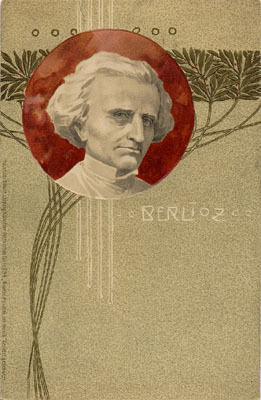 The above postcard was published by the Musée Hector Berlioz. 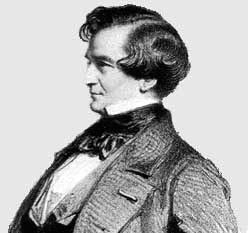 The above engraving was published by G Havard in Paris, and was reproduced in an 1856 biography of Berlioz, entitled Berlioz, by Eugène de Mirecourt, a copy of which is in our own collection.. 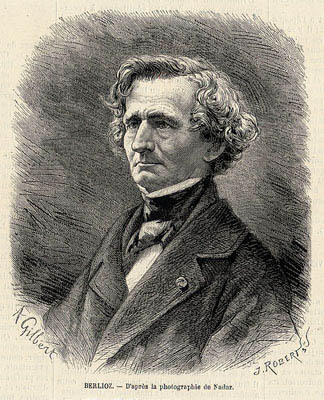 The above image, dated 1856, has been scanned from Adolphe Jullien’s biography of Berlioz, Hector Berlioz, sa vie et ses œuvres (Paris, 1888); it is in our own collection. 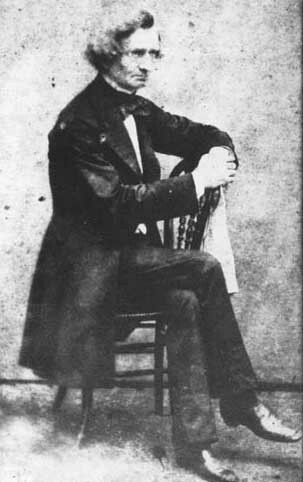 The above photo based on the original cliché by Félix Nadar was issued in 80 numbered copies in 1978 by the Caisse Nationale des Monuments Historiques et des Sites, Paris. Our copy is No. 30. 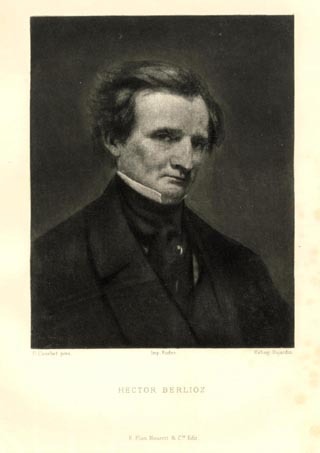 The above engraving was published in L’Illustration, Journal Universel, some time after 1863; it is in our own collection. 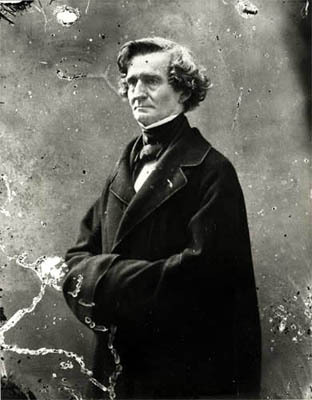 The article accompanying the engravings is an overview of some of Berlioz’s major works, including Les Troyens, the last three acts of which had been performed in mutilated form at the Théâtre Lyrique in November 1863. This postcard was published around 1910. 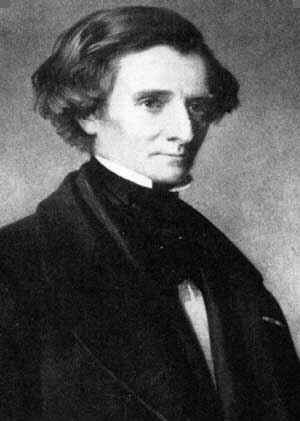 © (unless otherwise stated) Monir Tayeb and Michel Austin for all the texts and images on Berlioz Photo Album pages. All rights of reproduction reserved.